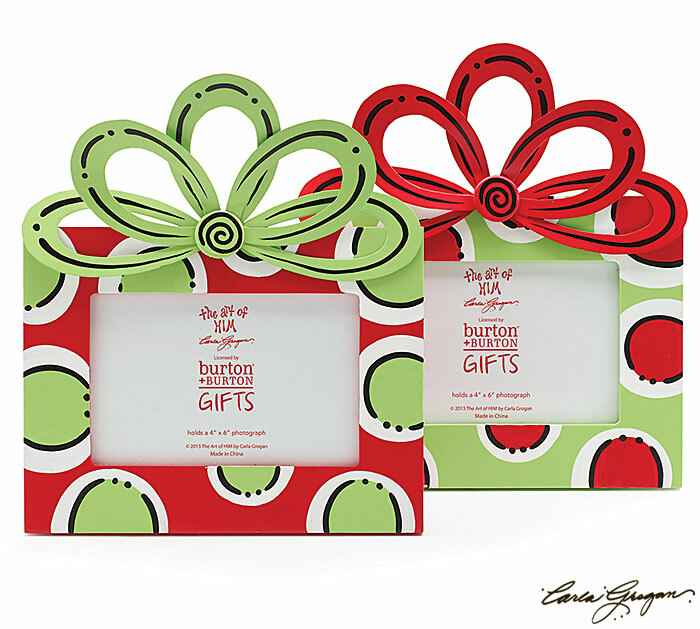 Hand-painted Wood and Tin assorted Frames with Polka Dots and Bow on the Top. Available in Red with Green & White Polka Dots OR Green with Red & White Polka Dots. EACH SOLD SEPARATELY! Measures 10" H x 8 1/2" W. Holds a 4" x 6" photo.